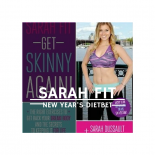 Lose weight with YouTube healthy living guru, Sarah Fit for the New Year! Out of 724,910 DietBetters, 100.04% have lost weight during their challenges. 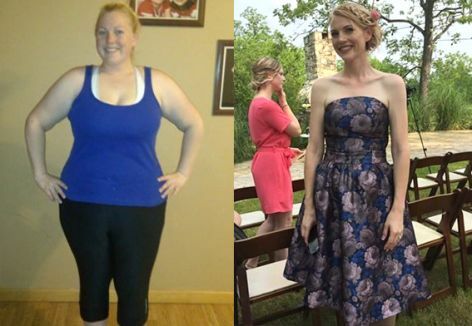 Combined, they've lost 12,290,503 lbs and won $62,263,235. In other words...yes. Your game has now been finalized. Congratulations to the winners! You will be notified by email if you are a winner and $45.94 will be deposited as credits into your account. They can be used for a new game or you can request a PayPal payout. Payouts process within 24 hours. Lindsey and Erica E. like this comment. anon-8a70e12d-3d3f-4915-b59a-46b8302e313f@6e28c68e-3150-4522-9ffa-6228bdeb4603.anon, Shayla C. and 4 others like this comment. Christiana and Eric B. like this comment. Interesting read! Congratulations...it feels good, doesn't it?? It sure does! This was such a great experience. I can't believe I did it!!! I squeaked in. It was a biggest loser moment...you need to have lost more than 2 ounces. Whew!! Shayla C. , JJ and 5 others like this comment. I did by 5 ounces! Was so nervous!! Didn't win - needed 1.6 more.. but down 4.4 lbs. so it was totally worth it:) Congrats to all who made it! Kelly M. , Shayla C. and 5 others like this comment. I did it! Down 7 lbs! Mille , Shayla C. and 5 others like this comment. I did it!! Congrats to everyone that has made their goal so far!! Kimberly E. , Shayla C. and 5 others like this comment. Hey everyone! Now that the game is over, do you want to continue to receive daily motivation and support? Check out my fitness page! I post daily motivational quotes, recipes, before and after stories etc. Check it out and click "Like". Yippee! My weight was verified. Hope to look good for Valentines Day! Cant wait to wear my wedding ring soon. Christiana , anon-8a70e12d-3d3f-4915-b59a-46b8302e313f@6e28c68e-3150-4522-9ffa-6228bdeb4603.anon and 5 others like this comment. Shayla C. , Michelle G. , anon-8a70e12d-3d3f-4915-b59a-46b8302e313f@6e28c68e-3150-4522-9ffa-6228bdeb4603.anon, Chrissy and Dorothy like this comment.